﻿ What Exactly is Dual Citizenship? Many people don’t realize it, but a person may be a citizen of the United States and also a citizen of another country at the same time. However, while dual citizenship or dual nationality is allowed in the United States, it is allowed only under certain circumstances. Generally, those who have held dual citizenship since childhood or birth, or who became citizens of another country after becoming a U.S. citizen and were not asked to renounce their previous citizenship can remain dual citizens in the United States. There are exceptions to these generalities, making dual citizenship a confusing issue. The United States’ position and the laws with regard to an individual being both a U.S. citizen and also a citizen of another country can be pretty complex. To begin with, citizenship is most often determined by where the individual was born. However, it may be much more complicated than that. Citizenship may also depend on the citizenship of the individual’s parents or other family members. Many people gain dual citizenship at their birth through their parents. However, even if the parent’s citizenship is taken into mind, the citizenship laws of the county where the child was born are also taken into consideration. In the case of a child being born in another country outside of the United States, but to U.S. citizens, that individual may or may not become a citizen of that country of birth in addition to their U.S. citizenship. However, there are many factors that go into determining citizenship, and not all countries give automatic citizenship to a child born within their borders. A U.S. citizen may also become a citizen of another country by marrying a foreign national and due to the automatic laws of that country, but if that individual willfully applies for citizenship and becomes a citizen of another country, they could lose U.S. citizenship. Naturalization is the most common way to gain citizenship in a country other than the one where the individual was born. Many countries allow naturalization but require that candidates renounce their previous citizenship. Citizens of foreign countries should consider these factors before applying for U.S. citizenship. Naturalized U.S. citizens may be able keep their original citizenship as U.S. laws do not require the choice of one citizenship over another. However, it is important for a green card holder to check with their home country to determine if that country will require them to choose one citizenship over another. If their country of birth does not allow dual citizenship they may have to give up their original citizenship in order to become a U.S. citizen. As for U.S. citizens, it is possible to actively apply for foreign citizenship and willingly forfeiting U.S. citizenship. That requires an appearance in person before a U.S. consular or diplomatic officer or in a foreign country at a U.S. Embassy or Consulate and signing an oath of renunciation. The renunciation process is complex and costly and best done with much consideration and legal advice. 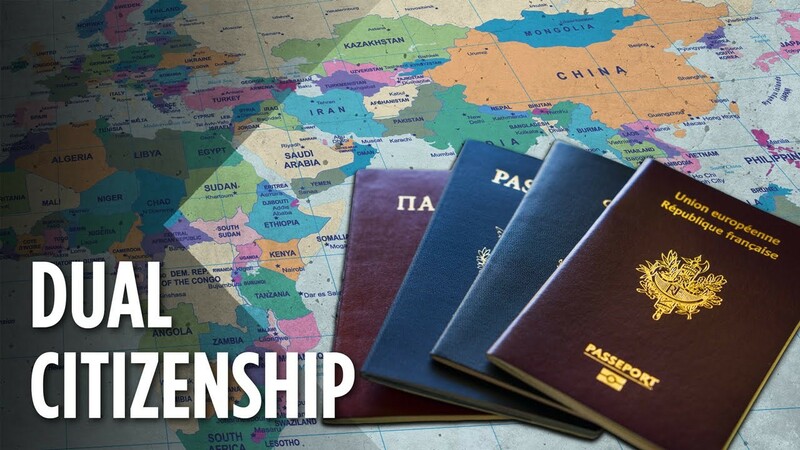 There are many things to consider before you seek citizenship in a country other than the one you were born in or are currently a citizen of. As previously mentioned, dual citizenship can be complex. If you have questions about your country’s laws, or want more information pertaining to dual citizenship or giving up your present citizenship, seek the advice of FES Immigration Law. We can advise you as to the best options for your situation and can be contacted at (813) 530-5992. Be assured that we will give you our prompt, respectful, and confidential attention.